LitClubs Launch at Project Pearls in Ulingan City, Philippines! 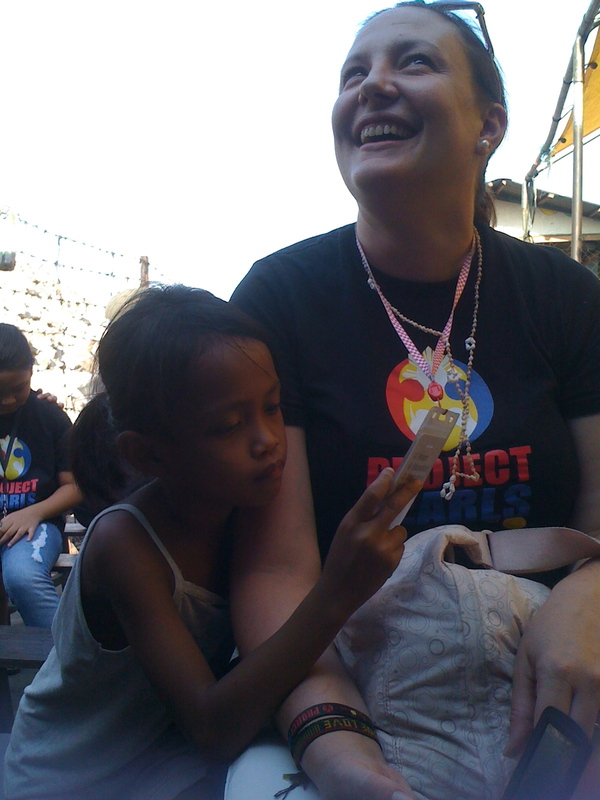 This past weekend, I returned to the Project Pearls site in Ulingan City. This time, it was to help initiate the two new LitClubs that has begun there. There is now a Girls Litclub and a Boys Litclub in collaboration with Project Pearls, an organization that works with youth in a place called Smokey Mountain, the site of the largest rubbish dump in Manila. We at LitWorld look forward to seeing the LitClubs grow and thrive and Project Pearls. Their commitment and dedication to the Ulingan City community inspires us! Last weekend, I had the opportunity of visiting the Project Pearls site in Smokey Mountain, an infamous garbage dump site/charcoal factory here in Manila that a community of informal settlers have adopted as their home. The small city is called Ulingan, after the tagalog word for coal, uling. This is also the site that the wonderful people of Project Pearls works in, where they go every Saturday to work with children who need joy, motivation, and support in their lives. This past weekend was a very special event, as they were celebrating the graduation of their preschool students. The proud mothers escorted their little ones in their graduation robes, proudly accepting certificates proudly dispalying that they have moved on to another level in their education. I was able to join them in celebrating this occasion, meet with some of the children, and visit the environment that they live in. These children live in harsh conditions, many of them suffering from respiratory problems from the smoke they inhale. 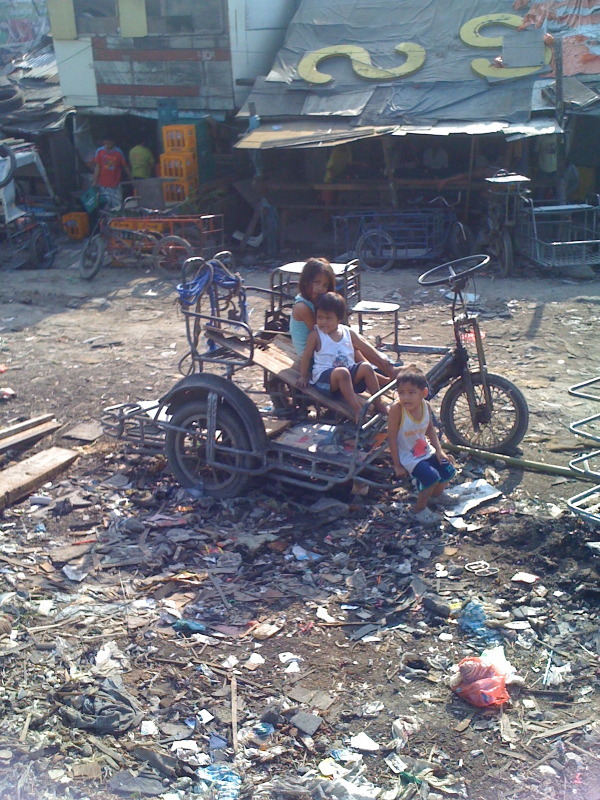 The children and their families live in a place where garbage is sent, so there are heaps of trash everywhere. Despite all of this, the people of Project Pearls have done such magical work there, setting up a humble, but powerful school where the kids can find a safe place with joyful people every weekend. They also find ways to bring resources there, bringing donated books, shoes, and clothes from abroad. The Project Pearls site inside Ulingan is a hub of hope. I am thrilled that LitWorld was able to train their facilitators on the LitClubs program, and we aim to launch the first Girls LitClub and the first Boys LitClub by next month! I look forward to what's to come for the upcoming collaboration with LitWorld and Project Pearls. Stay tuned! As the first month of the year comes to an end, I feel excited about the new developments and continued growth of LitClubs in the Philippines. It has been a positive start of the new year. On behalf of LitWorld, I am happy to welcome in new partnerships that have been forged over these past few weeks. One of the exciting new partnerships that LitWorld has established is our new connection to the Peace Corps. With the help of an incredible change maker and former Peace Corps Volunteer Alex Monroe, LitWorld has been able to begin building with the Peace Corps office in the Philippines. We are preparing to integate the LitClubs program with the work their volunteers are going to be doing on the ground, and we are currently planning for the training session that will happen this March. I look forward to reporting how it will come about. This month, LitWorld has also secured another organization partner, Project Pearls. Founded by a Filipino-American mother and daughter team, Melissa Villa and Francesca Villa Mateo, Project Pearls is an organization that helps bring resources to young children in a slum village and garbage dumpsite community called Ulingan. They have brought their incredible passion to help the youth through Feeding Programs, Scholarship Programs, and a quarterly medical mission. I am looking forward to helping them begin their LitClubs program to empower their youth on site, and we've begun training last week. I am very much looking forward to visiting them when it comes time. Real Life Foundation, our first partner organization in Manila, is gearing up for LitClubs in the new year. Here we are above, joined with staff members of Project Pearls, training on the curriculum. Good food, good people, and a good mission ahead! And of course, I've got my Girls LitClub at the Real Life Foundation every Saturday, where the girls are always welcoming, energetic, and excited to start their session. I love that they excitedly volunteer to read aloud all at once- their desire to have their voice heard is truly inspiring. Thank you to all our new partners in the Philippines- let's continue to build and grow!